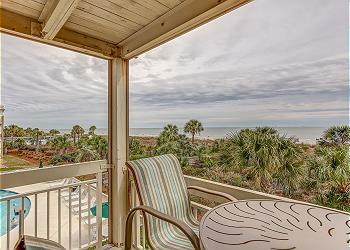 Park the car, kick back and forget about life for a while at this beautiful villa steps from the beach and across from Coligny plaza. 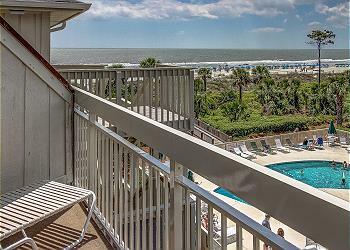 This is the best location on Hilton Head Island to start your vacation!! 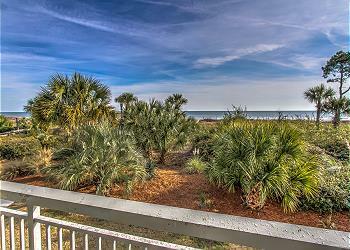 The Breakers villa has direct beach access from a beautiful walkway. There are 2 heated private pools for guests. Coligny Plaza with its numerous restaurants, coffee shops, delicious bakery, grocery store and live entertainment is directly across the street. Have fun next door at the Holiday Inn’s Tiki Hut and enjoy refreshments, beach volleyball and live music. This second-floor, one-bedroom unit has a king size bed with a wall-mounted flat screen and ceiling fan. The recently remodeled bathroom is beautifully tiled with glass shower doors, a vanity to store your toiletries and a stackable washer/dryer is just outside of the bathroom. The remodeled kitchen has granite counters, full-size stainless-steel stove, microwave, refrigerator and dishwasher and everything you need to create and enjoy your own meals. The living room also boasts a wall mounted flat screen Tv, cable, queen sleeper and a balcony with landscape views. Ceramic tile floors throughout completes the villa. Hilton Head Island has over 250 restaurants and 200 shops. There are 117 miles of leisure paths for cycling, running and walking and 17 miles of beaches. 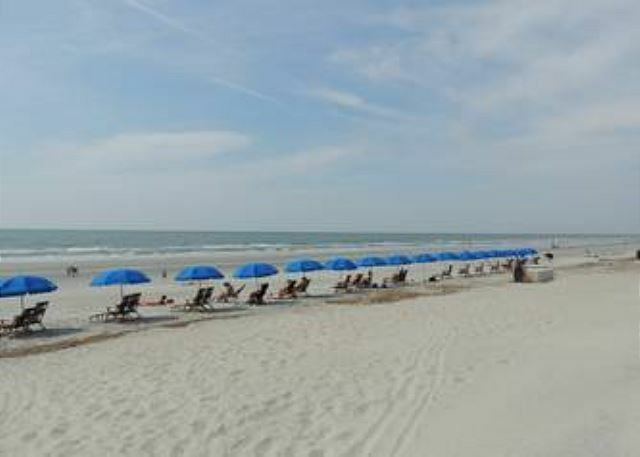 Bicycle rentals, golf, deep sea fishing, spas, kayaking and Coligny Park with fountains for the children are close by. There is truly something for everyone! !